Surrell MD, James A. SOS(Stop Only Sugar Diet). Bean Books LLC, November, 2013) He maintains that most other diets are way too complicated, and that people can lose weight by following these simple rules: 1. Low sugar; 2. High ﬁber; 3. No more rules! Resource Directory for Older People U.S. Dept of Health & Human Services Agency on Aging. Lists all national agencies, their locations, phone numbers, websites anddescribes each agency’s responsibilities. Healthwise Handbook. 2003 edition. Updated self-care manual. Pep Up Your Life AARP .1998. A Fitness book for mid-life and older persons. Meeting the Challenges of Aging with a Disability. 1993. Conference Proceedings Lessons learned from post polio and stroke. This website is provided “as is” without any representations or warranties, express or implied. 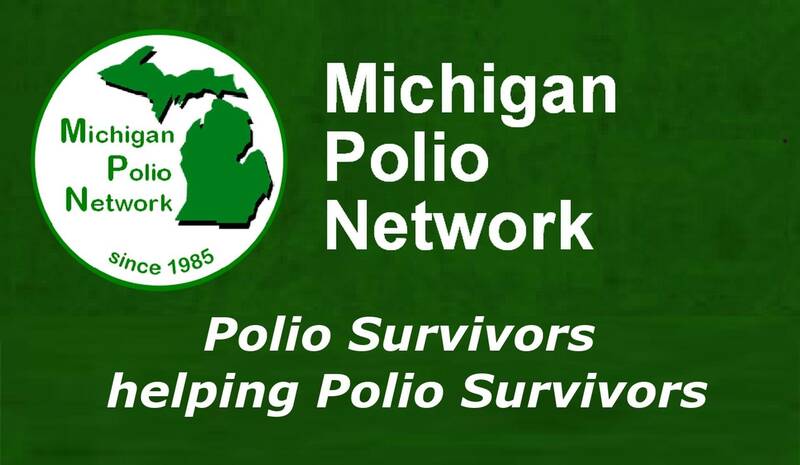 The Michigan Polio Network website providers make no representations or warranties in relation to this website or the information and materials provided on this website.